Home » celebration , movies , the goonies » THE GOONIES is 25 years old today! THE GOONIES is 25 years old today! I'm thankful that websites like GeekTyrant are around to make note of good stuff that I've otherwise been too busy to keep track of. Namely, that today - June 7th, 2010 - marks the twenty-fifth anniversary of the release of The Goonies! I have long thought of The Goonies as the definitive Eighties movie. That it's just as enjoyable (maybe more even) a quarter century later, is witness to that. 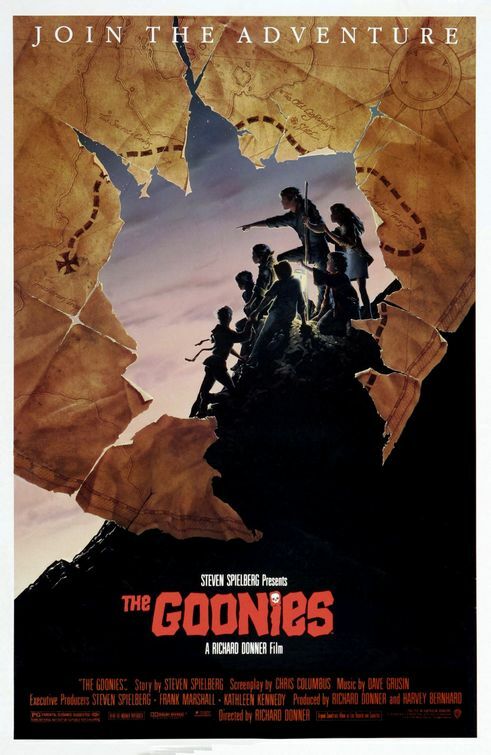 The Goonies was the kind of film that made you really believe that there might be an old treasure map hidden away in the attic of your house, just waiting for you and your friends to go off looking for pirate booty.